The training wheeIs were off! The three little girls were pedaling furiously, the bikes were staying upright. What excitement! Steering was a challenge and the bikes wiggled and looped shakily back and forth across the quiet road. Sometimes one landed in the soft grass of a neighbor’s lawn. Sometimes a push was needed to get started again. The little girls didn’t stop because they weren’t doing it right. They didn’t complain that it was hard, for it certainly was. They didn’t think about being perfect but eagerly started again every time they stopped and the bike tipped over. 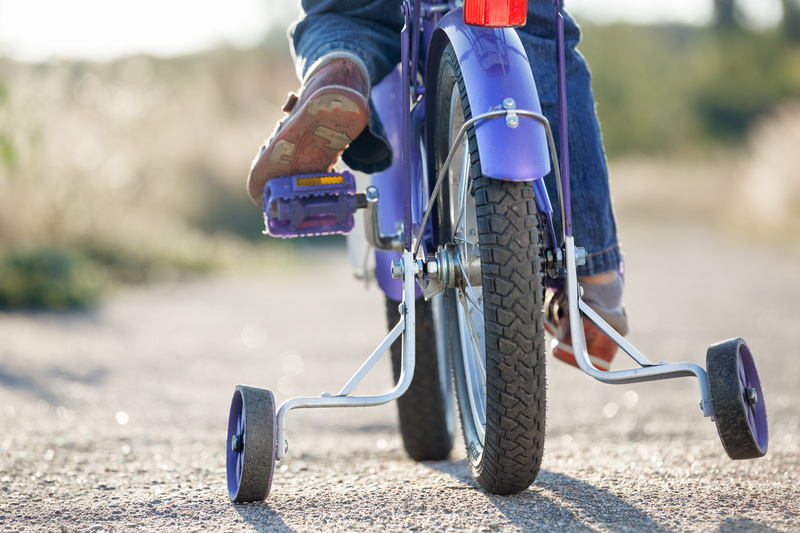 This may be why we don’t want to take the training wheels off our life. We want to cling to things that make us feel secure and seem to keep us steady whether they be situations, attitudes or unexamined beliefs. Yet these may be the same things that keep us from moving forward and experiencing more of life and the joy it holds. To honor every little girl so she can grow strong and confident, and to honor the little girl within each us, let’s choose carefully which voices we listen to.